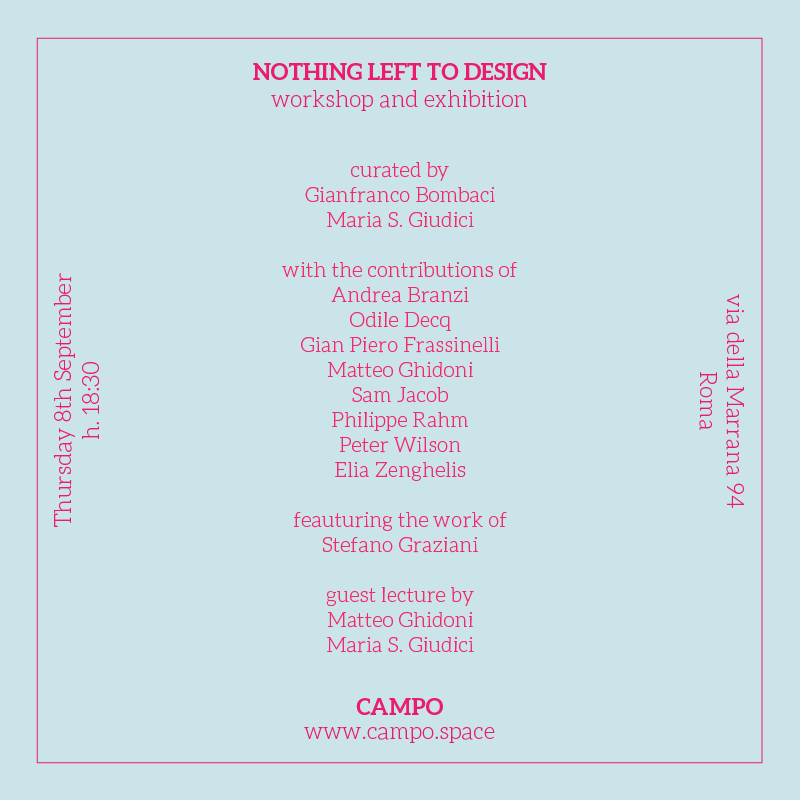 Thursday 8th of September 2016 – 18.30 p.m.
Thursday 8th of September 2016 – 19.00 p.m.
With the contributions by Andrea Branzi, Odile Decq, Gian Piero Frassinelli, Matteo Ghidoni, Sam Jacob, Philippe Rahm, Peter Wilson, Elia Zenghelis. 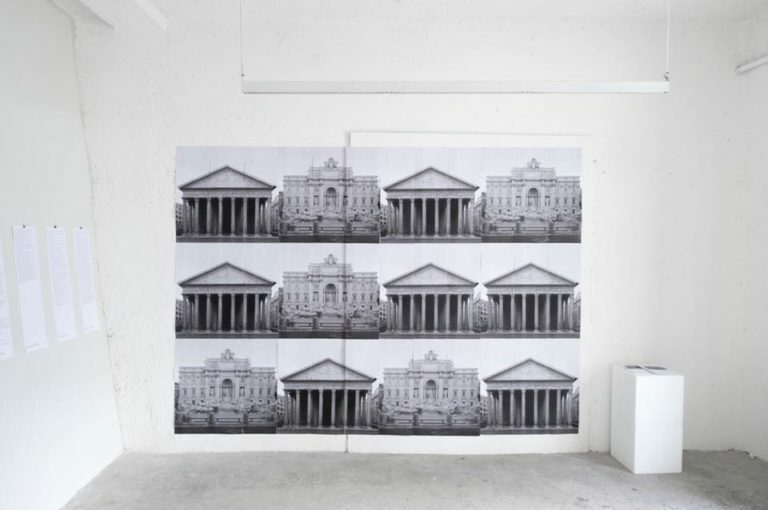 The exhibition, born out of the collaboration between the London publisher Black Square and the space for architecture CAMPO, features the contribution of Andrea Branzi, Odile Decq, Gian Piero Frassinelli, Matteo Ghidoni, Sam Jacob, Philippe Rahm, Peter Wilson, Elia Zenghelis and featuring the work of Stefano Graziani. Black Square and CAMPO asked a group of architects to imagine and describe through a brief narrative text the architecture that could give form and place to rituals and desires. These scripts will become the basis for a set of narrative drawings developed during a workshop at CAMPO within which architecturestudents will try to give form to spaces designed by others. For a week, the workgroup gather in Rome, working on these translations from text to image, and exploring and documenting those places where sacred and profane rituals and ceremonies are celebrated in Rome today, from St. Peter to the Trevi Fountain. 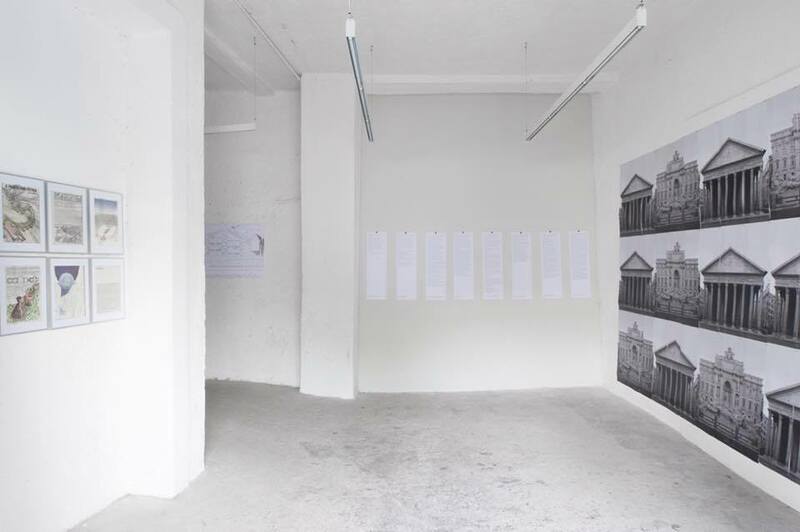 The idea of the exhibition and the workshop, curated by Gianfranco Bombaci and Maria S. Giudici, together with a publication that will collect the results, originates from the project The Planet as a Festival published by Ettore Sottsass in 1972. 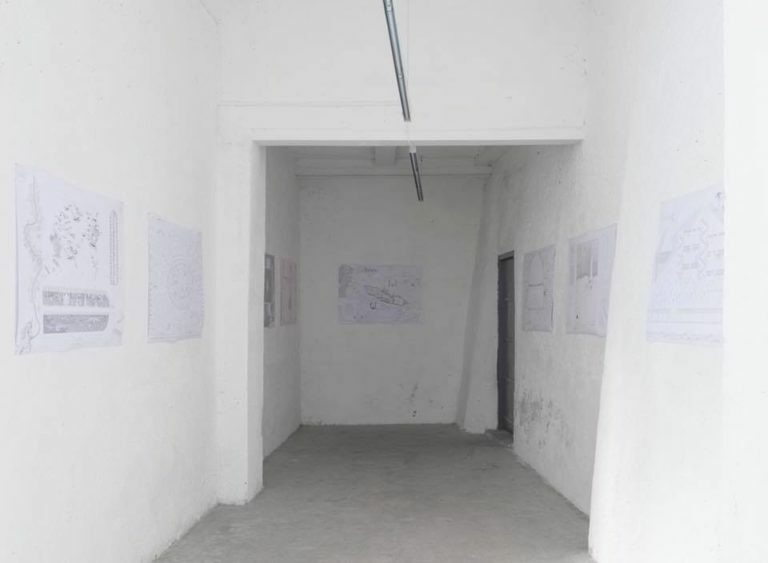 The project, in the form of a text and a series of drawings, described the possibility of a land where all humans are free from work and social conditioning and where there is no architecture left to design. All that is left to architects in this condition is to imagine an architecture designed by “others”. The Planet as a Festival is not a utopian project but rather the construction of a condition in which architecture can work as a device for new rituals, thus emancipating itself from the need to respond to a functional program. Architecture is then free to give space to the most profound instincts that animate collective life. It is precisely when ‘nothing is left to design’ that the mandate of architecture can be reinvented. 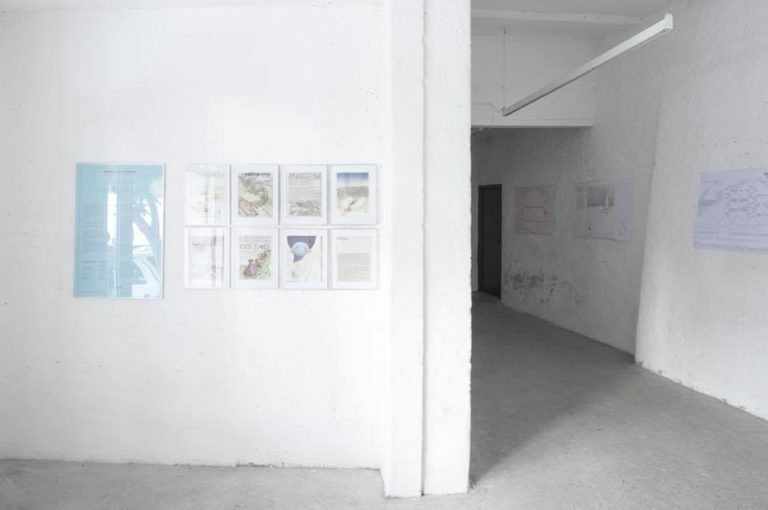 Sharing this approach the project “Nothing left to design” elaborates a reflection and opens a debate on the possible role of Architecture in putting forward ideas for new forms of life and new possibilities for our social imagination beyond the current conventional models.